Dr Koh and his entire staff are excellent in every way! From start to finish they have been perfect. *Dr. Koh is phenomenal, I got a recommendation from another patient. He answered my questions, showed my X-rays. When I meet w/him I feel like I am his only patient, even though I know he is a very busy doctor. It would be helpful to add an excellent category. He deserves it! Dr. Koh is the ultimate example of what I seek in a physician. He is caring, an excellent listener, a great communicator, and above all an outstanding surgeon. Dr. Jason Koh is wonderful. Dr Jason Koh is an excellent Doctor. He is very articulate, intelligent and compassionate. I highly recommend him. Dr. Jason Koh is a wonderful doctor with top notch bedside manor. He genuinely cares. I consider him a friend. Editorial Commentary: "A Rush of Blood From the Head"-Predicting and Preventing Cerebral Deoxygenation During Beach-Chair Shoulder Surgery. Orthopaedic surgeons and anesthesiologists need to work together to avoid catastrophic cerebral ischemic injuries when surgery is performed with patients in the beach-chair position. Patient risk factors include body mass index but are not strongly predictive. Anesthetic management choices, such as regional anesthesia with sedation or normotensive general anesthesia with gradual and limited head elevation and hypercapnia, can significantly decrease the risk of cerebral deoxygenation. Tibiofemoral Contact Mechanics With Horizontal Cleavage Tears and Treatment of the Lateral Meniscus in the Human Knee: An In Vitro Cadaver Study. Partial meniscectomy is one of the most commonly performed orthopaedic procedures for a meniscus tear. Decreased contact area and increased contact pressure have been seen in partial meniscectomies from treatment of various types of meniscal tears; however, the biomechanical effect of a horizontal cleavage tear in the lateral meniscus and subsequent treatment are unknown. This study asked whether a horizontal cleavage tear of the lateral meniscus, resecting the inferior leaf, and further resecting the superior leaf would (1) decrease contact area and (2) increase peak contact pressure. Eleven fresh-frozen human cadaveric knees were evaluated under five conditions of intact meniscus, horizontal cleavage tear, inferior leaf resection, and resection of the inferior and superior leaves of the lateral meniscus. Tibiofemoral contact area and pressure were measured at 0° and 60° knee flexion under an 800-N load, normalized to that at the intact condition of the corresponding knee flexion, and compared across the five previously described conditions. At 0° knee flexion, normalized contact area with inferior leaf resection (65.4% ± 14.1%) was smaller than that at the intact condition (100% ± 0.0%, p < 0.001); smaller than horizontal cleavage tear (94.1% ± 5.8%, p = 0.001) contact area; and smaller than repaired horizontal tear (92.8% ± 8.2%, p = 0.001) contact area. Normalized contact area with further superior leaf resection (50.5% ± 7.3%) was smaller than that at the intact condition (100% ± 0.0%, p < 0.001); smaller than horizontal cleavage tear (94.1% ± 5.8%, p < 0.001) contact area; and smaller than repaired horizontal tear (92.8% ± 8.2%, p < 0.001) contact area. At 60° flexion, normalized contact area with inferior leaf resection (76.1% ± 14.8%) was smaller than that at the intact condition (100% ± 0.0%, p = 0.004); smaller than horizontal cleavage tear (101.8% ± 7.2%, p = 0.006) contact area; and smaller than repaired horizontal tear (104.0% ± 13.3%, p < 0.001) contact area. Normalized contact area with further superior leaf resection (52.1% ± 16.7%) was smaller than that at the intact condition (100% ± 0.0%, p < 0.001); smaller than horizontal cleavage tear (101.8% ± 7.2%, p < 0.001) contact area; and smaller than repaired horizontal tear (104.0% ± 13.3%, p < 0.001) contact area. At 60° flexion, contact area with both leaf resection (52.1% ± 16.7%) was smaller than that with inferior leaf resection (76.1% ± 14.8%, p = 0.039). At 0° knee flexion, peak pressure increased to 127.0% ± 22.1% with inferior leaf resection (p = 0.026) and to 138.6% ± 24.3% with further superior leaf resection (p = 0.002) compared with that at the intact condition (100% ± 0.0%). At 60° flexion, compared with that at the intact condition (100% ± 0.0%), peak pressure increased to 139% ± 33.6% with inferior leaf resection (p = 0.035) and to 155.5% ± 34.7% (p = 0.004) with further superior leaf resection. Resection of the inferior leaf or both leaves of the lateral meniscus after a horizontal cleavage tear resulted in decreased contact area and increased peak contact pressure at 0° and 60° knee flexion. In vitro resection of one or both leaves of a horizontal cleavage tear of the lateral meniscus causes increases in peak pressure, consistent with other types of partial meniscectomies associated in a clinical setting with excessive loading and damage to knee cartilage. Clinical outcomes in patients undergoing partial leaf meniscectomy could confirm this theory. Avoidance of resection may be relatively beneficial for long-term function. The findings of this in vitro study lend biomechanical support for nonoperative management. A thermoresponsive, citrate-based macromolecule for bone regenerative engineering. There is a need in orthopaedic and craniomaxillofacial surgeries for materials that are easy to handle and apply to a surgical site, can fill and fully conform to the bone defect, and can promote the formation of new bone tissue. Thermoresponsive polymers that undergo liquid to gel transition at physiological temperature can potentially be used to meet these handling and shape-conforming requirements. However, there are no reports on their capacity to induce in vivo bone formation. The objective of this research was to investigate whether the functionalization of the thermoresponsive, antioxidant macromolecule poly(poly-ethyleneglycol citrate-co-N-isopropylacrylamide) (PPCN), with strontium, phosphate, and/or the cyclic RGD peptide would render it a hydrogel with osteoinductive properties. We show that all formulations of functionalized PPCN retain thermoresponsive properties and can induce osteodifferentiation of human mesenchymal stem cells without the need for exogenous osteogenic supplements. PPCN-Sr was the most osteoinductive formulation in vitro and produced robust localized mineralization and osteogenesis in subcutaneous and intramuscular tissue in a mouse model. Strontium was not detected in any of the major organs. Our results support the use of functionalized PPCN as a valuable tool for the recruitment, survival, and differentiation of cells critical to the development of new bone and the induction of bone formation in vivo. © 2018 Wiley Periodicals, Inc. J Biomed Mater Res Part A: 106A: 1743-1752, 2018. Joint-Preserving Osteotomies for Isolated Patellofemoral Osteoarthritis: Alternatives to Arthroplasty. Patellofemoral osteotomies can provide excellent symptomatic relief for selected patients with isolated patellofemoral osteoarthritis (PFOA). Isolated PFOA is a relatively common disorder, seen in 24% of women and 11% of men over the age of 55 years. In up to 89% of these patients, PFOA occurs at the lateral facet of the patella, and is especially amenable to surgical treatment. Particularly in younger patients, joint-preserving osteotomies can provide excellent and reliable relief while delaying the need for partial or joint arthroplasty and subsequent revision. These osteotomies, such as partial lateral patellar facetectomy (PLPF), patella-thinning osteotomy (PTO), tibial tubercle anteromedialization (AMZ) osteotomy, and sulcus-deepening trochleoplasty (SDT), are reviewed for indications, technique, and results. In particular, patients with primarily lateral facet or distal and lateral lesions have excellent outcomes with patellofemoral osteotomies. Arthroscopic treatment successfully treats posterior elbow impingement in an athletic population. Posterior elbow impingement can cause disabling pain and limited motion during activities involving elbow extension. Less understood is whether arthroscopic treatment, compared to open surgery, can result in effective management of pain, loss of range of motion, and return athletes to previous levels of activity. This study determined whether arthroscopic debridement is a safe and effective treatment for posterior elbow impingement and whether it enables athletes to return to a previous level of function. A retrospective review of 36 consecutive patients that underwent arthroscopic debridement of the posterior elbow was performed. There were 34 male and 2 female patients, with a median age of 32 years (17-54 years). There were 7 professional athletes, 6 college athletes, and 23 high school or recreational athletes. All patients had a positive posterior impingement test for posterior pain with extension and limitations of activity. Arthroscopic debridement and additional surgical procedures were performed, and patients underwent follow-up visits at a median 51 months (range 14-81). Significant improvements were seen in pain, motion, and function. No neurovascular complications were seen related to the arthroscopic debridement. The mean Andrews and Timmerman elbow score improved from 159 ± 27 to 193 ± 11 (p < 0.01). Thirty-five of thirty-six (97%) patients returned to their previous level of activity, including all professional athletes. Arthroscopic management of posterior elbow impingement is safe and effective and can return patients, including professional athletes, to high-level athletic activity. Athletes with symptomatic posterior elbow impingement can be successfully and safely treated with arthroscopic debridement and typically will return to preinjury levels of activity. Evaluation of repair of the hip labrum under simulated full weight-bearing. Repairs of labral tears are performed for unstable tears, hip instability, and after detachment concomitant to the treatment of femoroacetabular impingement (FAI), but limited data is known about the strength of repair. This study evaluated the effect of simulated axial weight-bearing on suture anchor based repair of the acetabular labrum. 3 cadaveric pelvises underwent creation of a 1.5 cm anterior-superior labral tear in each hip. The tears were then repaired using 2 suture anchors per hip. Following repair, the hip joint underwent axial cyclic loading to 756 N, and were inspected for separation of the labrum from the acetabulum. The strength of the suture anchor repair was evaluated by testing load to failure, in-line with insertion. Upon visual examination, all 6 repairs remained fully intact following loading with no visible gap formation or damage at the repair site. In all cases an arthroscopic probe could not be inserted under the edge of the repair. The mean failure force of the 12 suture anchors, in-line with insertion, was 154 N ± 44 N.
Acetabular labral suture anchor repairs may be able to immediately withstand the physiological loads of axial weight-bearing. Labral repair may be able to tolerate axial weight-bearing immediately after repair, preserving the strength and integrity of muscles and soft tissues. Distinct Proximal Humeral Geometry in Chinese Population and Clinical Relevance. Replicating humeral anatomy during shoulder arthroplasty is important for good patient outcomes. The proximal humeral geometry of the Chinese population has been rarely reported. We analyzed the geometry of the proximal part of the humerus in Chinese subjects and compared it with that of Western populations and the dimensions of available prostheses. Eighty healthy Chinese subjects underwent computed tomography (CT)-arthrography. Three-dimensional (3D) digital humeral and glenoid models were reconstructed, and geometric parameters were measured. Humeral measurements included the radius of curvature, articular surface diameter and thickness, anterior-posterior/superior-inferior (AP/SI) articular surface diameter ratio, articular surface thickness/radius of curvature ratio, surface arc, inclination angle, retroversion angle, and medial and posterior offsets. Glenoid measurements included SI length, AP length, SI radius, and AP radius. The average radius of curvature (and standard deviation) of the humeral head was 22.1 ± 1.9 mm, the articular surface diameter averaged 42.9 ± 3.6 mm, and the articular surface thickness averaged 16.9 ± 1.5 mm. There was strong linear correlation between the articular surface diameter and thickness (r = 0.696, p = 0.001), with a linear regression relationship of thickness = 0.357 × diameter + 1.615. The AP/SI articular surface diameter ratio averaged 0.93 ± 0.03; the articular surface thickness/radius of curvature ratio, 0.77 ± 0.05; the surface arc, 153° ± 5.6°; the inclination angle, 133° ± 3.1°; and the retroversion angle, 22.6° ± 10.2°. The medial and posterior offsets averaged 6.3 ± 0.9 mm and 0.4 ± 0.78 mm, respectively; the SI and AP lengths, 30.15 ± 3.70 mm and 20.35 ± 2.56 mm; and the SI and AP radii, 23.49 ± 2.48 mm and 25.54 ± 3.07 mm. Compared with the Western population, the Chinese cohort had a smaller radius of curvature (p < 0.001), smaller articular surface diameter (p = 0.009), larger articular surface thickness/radius of curvature ratio (p < 0.001), larger surface arc (p < 0.001), smaller inclination angle (p < 0.001), and smaller posterior offset (p < 0.001). Unlike the Western population, the Chinese population had higher glenohumeral conformity in the coronal plane than in the axial plane. Many manufacturers' shoulder prostheses do not adequately cover the range of humeral head dimensions in our Chinese cohort. The geometric parameters of the humeri in the Chinese population differ from those in other populations. These differences have clinical relevance with regard to implant design and arthroplasty technique and likely affect clinical outcomes. Retropatellar Accessory Portals for Improved Access to the Patella: Anatomic Description and Evaluation of Safety. Standard knee arthroscopy portals are frequently used to address retropatellar chondral pathology. Alternative portals may offer a safe and simple substitute, particularly when reaching the base of deep lesions is required. To describe and assess the safety of accessory retropatellar portals. An anatomic study was performed on 10 fresh-frozen cadaveric knees. Medial and lateral retropatellar portals were created, and the distance to adjacent neurovascular structures (common peroneal nerve [CPN] and infrapatellar branch of the saphenous nerve [IPBSN]) and bony landmarks (medial and lateral epicondyles and margins of the midpatella) was recorded. A clinical account of portal use is provided through a retrospective chart review. The medial and lateral retropatellar portals were a mean 15.8 ± 15.5 mm and 53.8 ± 7.2 mm from the IPBSN and CPN, respectively. No nerves were contacted in any specimens. Clinically, the portals have been used in 109 cases over a 7-year period without complication. The high level of IPBSN variability poses some risk to medial portal use; however, there is little to no risk laterally. Clinical experience with portals suggests that they can be used safely. We recommend careful blunt dissection to minimize chance of iatrogenic nerve injury. Retropatellar portals may offer improved access to chondral lesions of the patella, thereby safely allowing one to maintain an arthroscopic approach. Tibiofemoral Contact Mechanics with Horizontal Cleavage Tear and Resection of the Medial Meniscus in the Human Knee. The meniscus is known to increase the contact area and decrease contact pressure in the tibiofemoral compartments of the knee. Radial tears of the meniscal root attachment along with partial resections of the torn meniscal tissue decrease the contact area and increase pressure; however, there is a lack of information on the effects of a horizontal cleavage tear (HCT) and partial leaf meniscectomy of such tears on tibiofemoral contact pressure and contact area. Twelve fresh-frozen human cadaveric knees were tested under 10 conditions: 5 serial conditions of posterior medial meniscectomy (intact meniscus, HCT, repaired HCT, inferior leaf resection, and resection of both inferior and superior leaves), each at 2 knee flexion angles (0° and 60°) under an 800-N axial load. Tekscan sensors (model 4000) were used to measure the contact pressure and contact area. HCT and HCT repair resulted in small changes in the contact area and an increase in contact pressure compared with the intact condition. Resection of the inferior leaf resulted in significantly decreased contact area (to a mean 82.3% of the intact condition at 0° of flexion and 81.8% at 60° of flexion; p < 0.05) and increased peak contact pressure (a mean 36.3% increase at 0° flexion and 43.2% increase at 60° flexion; p < 0.05) in the medial compartment. Further resection of the remaining superior leaf resulted in additional significant decreases in contact area (to a mean 60.1% of the intact condition at 0° of flexion and 49.7% at 60° of flexion; p < 0.05) and increases in peak contact pressure (a mean 79.2% increase at 0° of flexion and 74.9% increase at 60° of flexion; p < 0.05). Resection of meniscal tissue forming the inferior leaf of an HCT resulted in substantially decreased contact area and increased contact pressure. Additional resection of the superior leaf resulted in a further significant decrease in contact area and increase in contact pressure in the medial compartment. Repair or minimal resection of meniscal tissue of an HCT may be preferred to complete leaf resection to maintain knee tibiofemoral contact mechanics. AAOS Research Symposium Updates and Consensus: Biologic Treatment of Orthopaedic Injuries. Strategies that seek to enhance musculoskeletal tissue regeneration and repair by modulating the biologic microenvironment at the site of injury have considerable therapeutic potential. Current and emerging biologic approaches include the use of growth factors, platelet-rich plasma, stem cell therapy, and scaffolds. The American Academy of Orthopaedic Surgeons hosted a research symposium in November 2015 to review the current state-of-the-art biologic treatments of articular cartilage, muscle, tendon, and bone injuries and identify knowledge gaps related to these emerging treatments. This review outlines the findings of the symposium and summarizes the consensus reached on how best to advance research on biologic treatment of orthopaedic injuries. How Rare is Zach Miller’s Devastating Knee Injury? Dr. Jason Koh offers expertise on injuries in the Summer Games in Rio. Dr. Jason Koh, Director of the NorthShore Orthopaedic Institute, explains how funding for new innovations at the Institute will help patients. Dr. Jason Koh, Director of the NorthShore Orthopaedic Institute, discusses how 3-D printing is used by orthopaedic surgeons. The NorthShore Orthopaedic Institute provides multidisciplinary care. 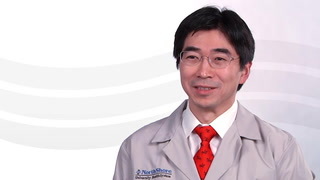 Dr. Jason Koh, Chairman of the Department of Orthopaedic Surgery and Director of the NorthShore Orthopaedic Institute, speaks about the collaborative care offered by the Department of Orthopaedic Surgery.